This is a gorgeous romper that is just packed with detail. 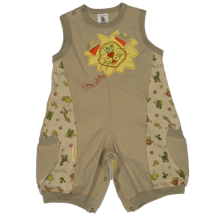 Made from wonderfully light, loose-fitting, cool African cotton, it is the perfect romper for Summer. 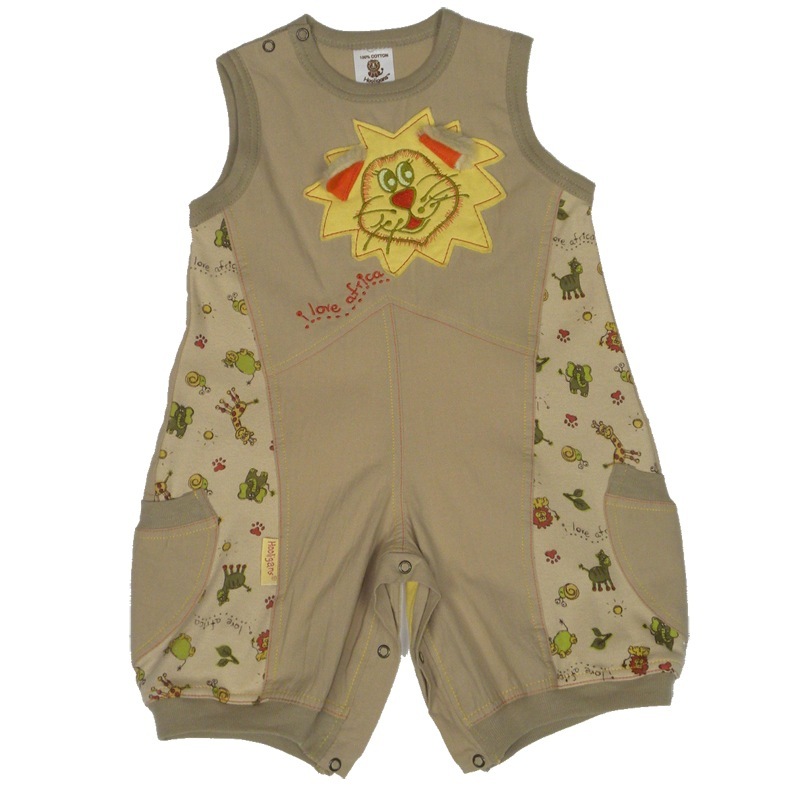 Cute printed side panels compliment the colours used in this very popular romper. The front panel has a cute lion's head applique with embroidered details & fluffy sheepskin ears. A pocket on each leg make for a perfect safe place to keep the pacifier. 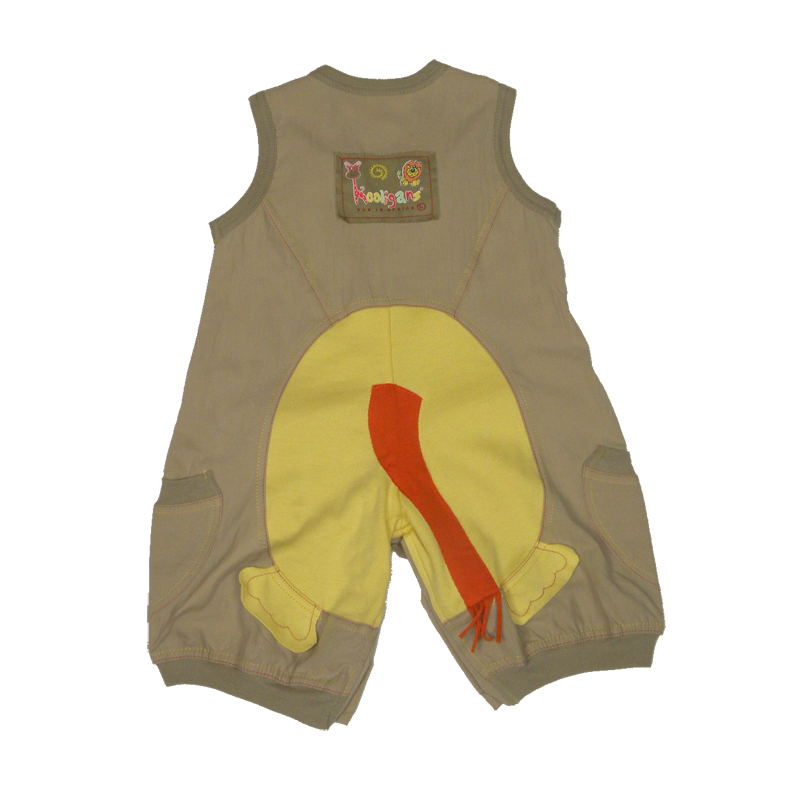 The back of this romper shows a lion's bottom complete with tail. This romper has a heap of "aawwww" factor to it!